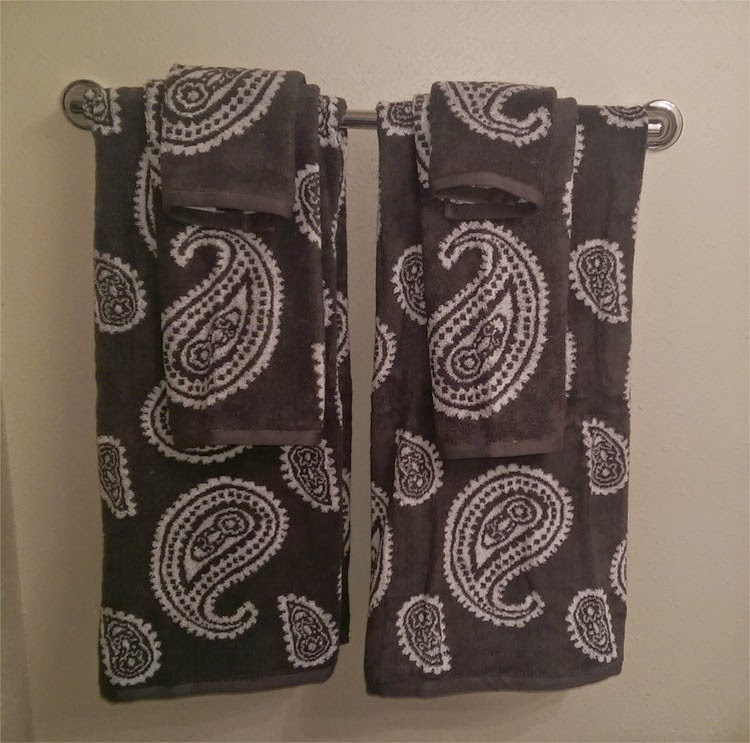 I was excited for these dark grey paisley print towels to arrive in the mail. I will be updating and re-decorating my bathroom and want to paint my walls with a bright yellow. These charcoal towels will be a great accent to the bright yellow. They are 100% long staple combed cotton and made by Superior. They will last me a while. I will be purchasing a yellow fabric shower curtain, because the vinyl plastic ones emit off-gassing that is toxic. I want to paint the walls with dark grey and yellow stripes. I have to talk my husband into doing the stripes as he is the artistic one in the family, but I am sure I can do it! Otherwise they will be just plain yellow. The towels themselves are not as soft as my old Egyptian cotton ones, but those ones were twice as expensive! These are soft, and luxurious at an affordable price. My other requirement is rugs. I NEED plush, soft rugs for my bathroom. I need to buy those in person instead of online, because I need to touch them, and squish them to make sure they are soft enough for me. What about you? Will you be doing any re-decorating this Fall?